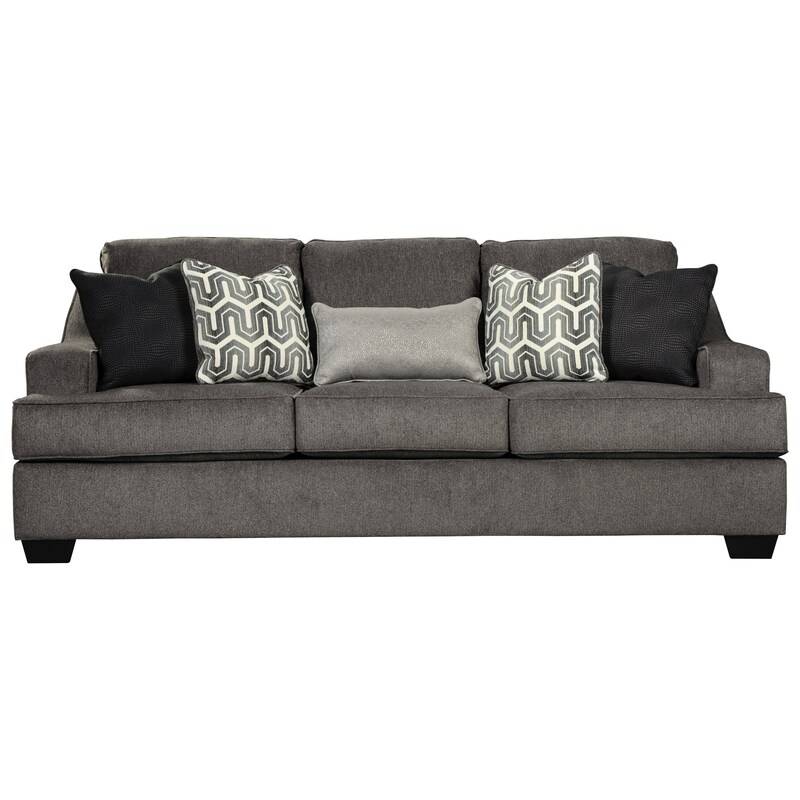 Two sets of square accent pillows and a lumbar pillow dress up the look of this sofa. Its sleek track arms and T-seat cushions add to the confident, cool style. 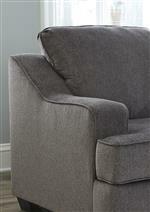 The gray gunmetal fabric offers a stylish and neutral design for your decor. The Gilmer Contemporary Sofa with Track Arms by Signature Design by Ashley at Michael's Furniture Warehouse in the San Fernando & Los Angeles area. Product availability may vary. Contact us for the most current availability on this product. Contemporary style, with a timeless sophistication, makes your choice of pieces available from this collection a great look to update your living room decor. Variations of gray bring a sense of calm. The Gilmer collection is a great option if you are looking for Contemporary furniture in the San Fernando & Los Angeles area. Browse other items in the Gilmer collection from Michael's Furniture Warehouse in the San Fernando & Los Angeles area.